Finally, the Swedish at Saab have gotten a proper success ever since moving away from the General Motors umbrella towards Spyker ownership. 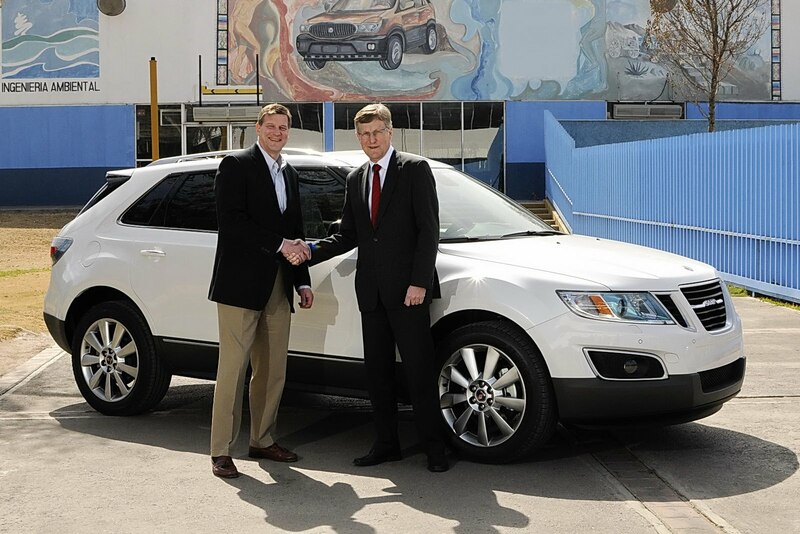 Saab’s newly designed SUV, the 9-4X has finally rolled off the production line at the factory in Mexico where it’s being made. The chassis number 00001 Saab 9-4X is headed for the test driving event the Swedish planned for journalists in the United States. Once that’s done, the first Saab 9-4X ever made will be headed home to Sweden where it will be on display at the Saab car museum. As far as the car itself is concerned, it is finished in Aero trim level, draws its power from a 2.8 liter turbocharged V6 engine and is finished in Ice Pearl metallic paint. The powerplant choice is pretty interesting, especially considering how Cadillac killed off this engine for the SRX, the car on which the Saab 9-4X is based. 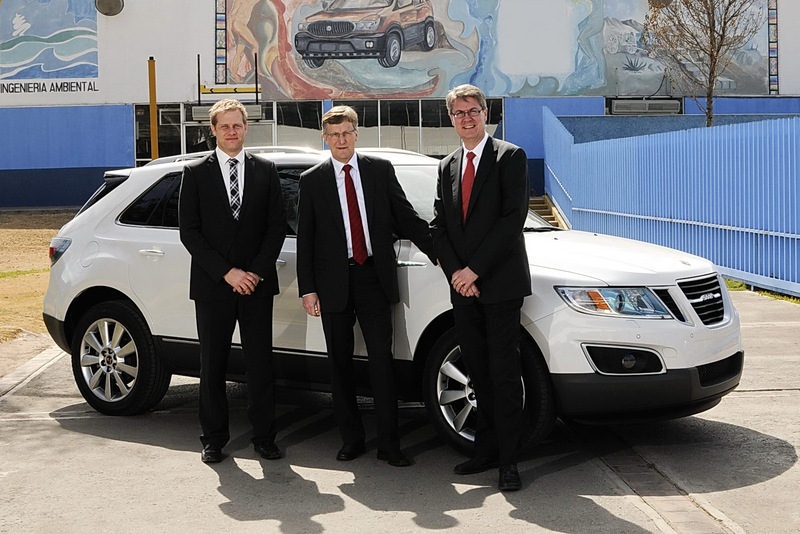 Even so, Saab is very proud of their achievement and also of the efficiency of the Ramos Arizpe plant in Mexico. 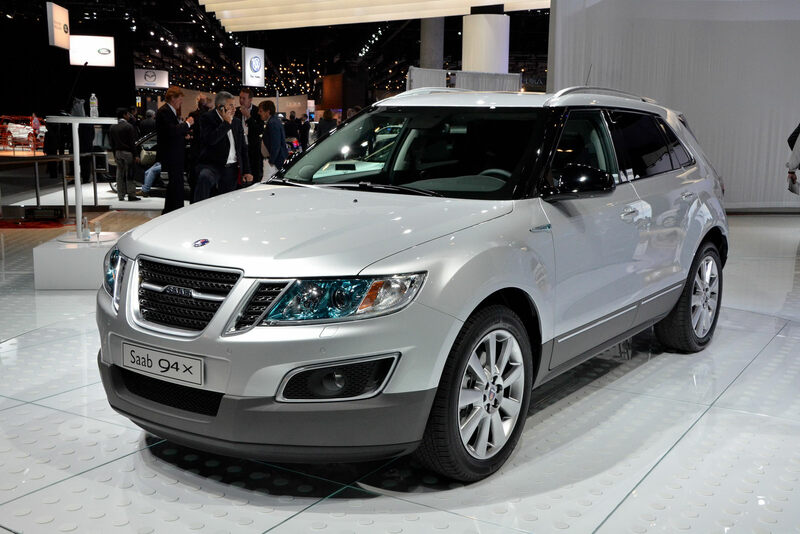 Apparently, the Saab 9-4X will hit dealership showrooms across America sometime in May of this year. That’s not bad for a financially broken down company, in the wake of a financial crisis after just having revealed the Saab 9-4X last November.